We’ve been having a few issues with our broadband connection, which has meant limited internet time and speed, so although I was going to try and upload a video this weekend, I’ve not been able to. I will however try a few photographs. It’s another bank holiday weekend so it’s meant an opportunity to spend more time than a regular weekend on the allotment. The weeds seem be growing exponentially, and are certainly growing faster than the food crops at the moment. I spent some time on Saturday just weeding. I’d planned to do some other things, but at the moment, it’s important to try and get ahead of the weeds, otherwise they’re going to crowd out the other plants. I feel like I made good progress, but there is always more to do! Last weekend I planted some Cavolo Nero and Brussels Sprout plants which seem to have all taken well. These were followed this weekend with some Celeriac. The plot is looking quite full now, which is good. I harvested the first of the broad beans, which although were probably on the small side, were very sweet tasting. Back in the garden I moved on the tomato plants that I’d been given, into their final growing spot. To do so, I had to move the last of the overwintering plants out of the potting shed to make room for them. 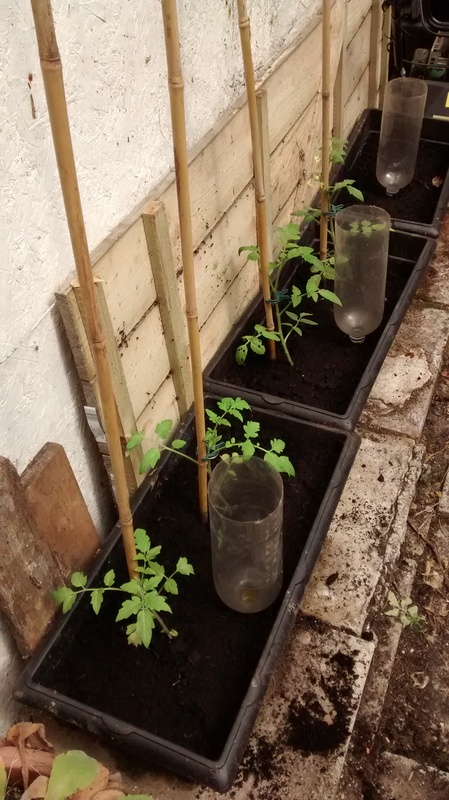 I wasn’t going to bother with tomatoes this year, having had such a bad season last year and I didn’t therefore grow any from seed, however as a fellow allotmenteer gave me some plants, I thought why not. 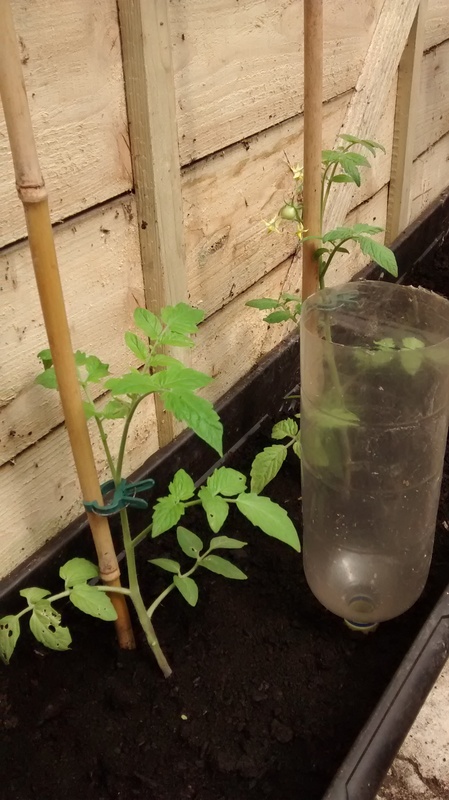 One of the plants even has a small tomato on it already! Monday is a Bank Holiday, so that’s given me more garden time. I’ve spent this morning clearing around the slabs in the back garden. I checked back through my notes and it’s only three weeks since I last did this, so I can see it’s going to be a regular occurrence if I want to keep the backyard pristine through the summer and not use any chemicals (which I don’t want to do). I know the time span because I’ve been journalling more than I ever have done before. I’m finding that I’m quite enjoying recording my thoughts and observations, and I haven’t kept a proper paper journal for many years, probably since I took up blogging. I think it means that I remember far more when I come to sit down in front of the computer than I would otherwise. I took a break from the gardening to finish a job application. My redundancy date isn’t that far away, so I’m taking more time to job hunt. I’m hoping to get a bit of a break over the summer, but don’t plan or want to be out of work for too long. Anyway there’s still a lot of Monday left, and I’m intending to tackle the front garden this afternoon. I need to clear back some of the front border as it’s encroaching on the pavement a little, and again there is some clearing around paving slabs to be done as well as a few other tasks. 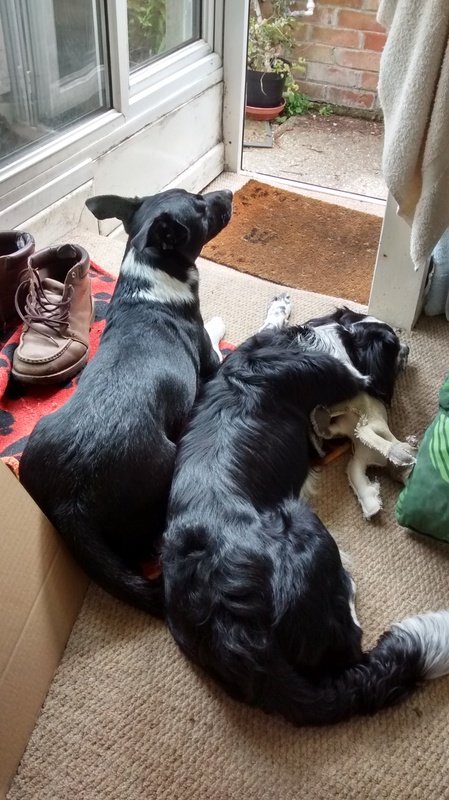 The Dogs Are Quite Content To Watch What’s Going On. 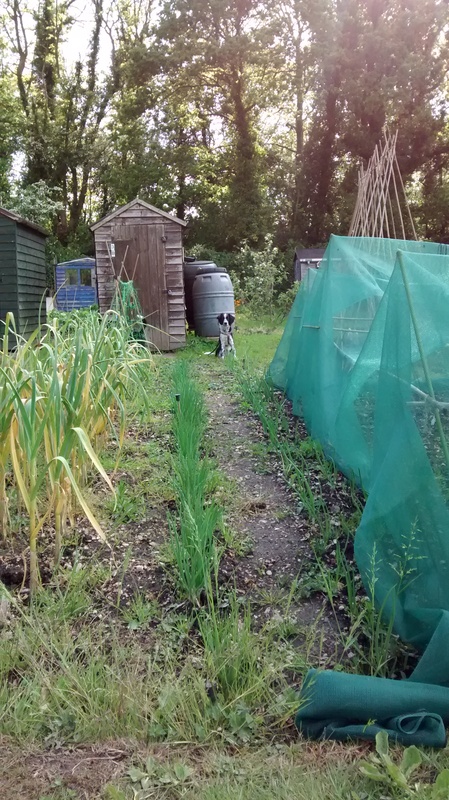 This entry was posted in Dog, Dogs, Fork To Fork, Garden / Allotment, Life, redundancy, Simple Things, writing and tagged allotment, broad beans, dog, dogs, garden, redundancy, weeding. Bookmark the permalink.